Now...we'll quarrel with the fact that this video was taken portrait mode not landscape, the proof is in the pudding with these videos. Now..we'll grant you that they didn't slug the kid or anything, but they shouldn't be touching him. That's for sure. The worst part? The candidate laughs it off. 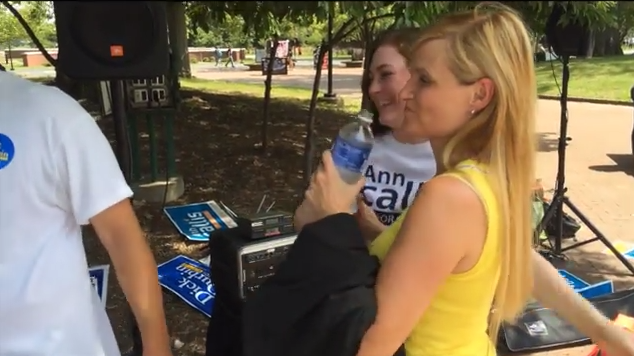 After the staff member brags to Ann Callis about aggressively handling this kid, Callis just smiles, drinks her water and laughs. Doesn't seem all that "Congressional" to us, Judge Callis.